Seven Palestinians were injured, on Friday, as clashes broke out with Israeli forces in the al-Mazraa al-Gharbiyeh village north of the central occupied West Bank district of Ramallah. 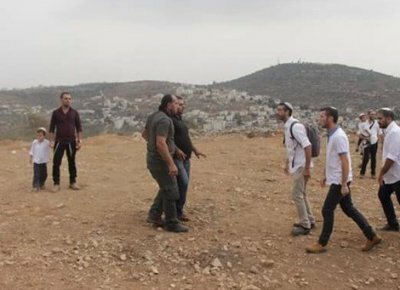 According to the WAFA News Agency, dozens of Israeli settlers stormed the al-Mazraa al-Gharbiyeh village, under armed protection by heavily armed Israeli forces. Palestinian villagers confronted them at the entrance to the village to try to prevent their entry. Local sources reported that Israeli forces fired rubber-coated steel bullets and poisonous tear-gas bombs towards the villagers, injuring seven of them, including the village’s mayor. Israeli forces also detained a Palestinian identified as Mohammad Shreiteh; he was transferred to an unidentified location for interrogation.